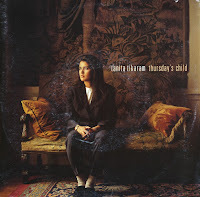 'Thursday's child' was released as the third and last single from Tanita Tikaram's second album 'The sweet keeper'. The track was re-recorded for the single release. However, this did not help matters much: the single did not chart. The B-side is a charming song taken from the album. 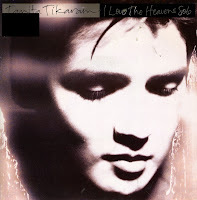 'I love the heaven's solo' was already a B-side of Tanita Tikaram's 1990 single 'Little sister leaving town', before it was re-recorded for her 1991 album 'Everybody's angel'. This version was released as the second single from that album. The single did not chart, and so no further singles were taken from the album. 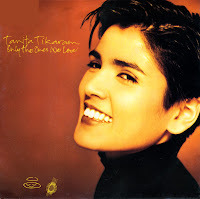 Released as the first single from Tanita Tikaram's third album 'Everybody's angel' (1991), 'Only the ones we love' was not a very big success. The single peaked at number 69 in the UK singles chart and did not chart in the Netherlands. The song featured backing vocals by Jennifer Warnes, who also sang on a few other tracks on the album. Though critically acclaimed, commercial success seemed to elude Tikaram even more than with the previous album. 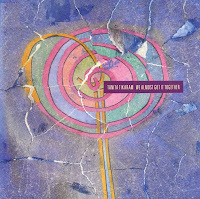 'Little sister leaving town' was the second single taken from Tanita Tikaram's second album 'The sweet keeper' (1990). The single peaked at number 83 in the UK singles chart, continuing the trend of declining sales for each single Tikaram released since her debut album. 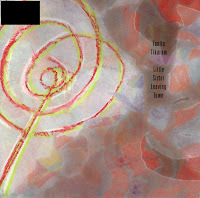 Nevertheless, 'Little sister leaving town' is one of Tikaram's more accomplished songs, creating an intimate atmosphere. The B-side was a demo version of 'I love the heaven's solo', which would become a single a few years later. 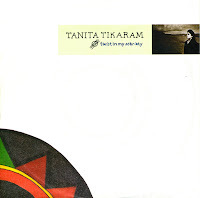 The 'difficult second album syndrome' hit Tanita Tikaram hard. The first single taken from her second album 'The sweet keeper' (1990) was the upbeat, but slightly contrived 'We almost got it together'. The single peaked at number 52 in the UK and number 34 in the Netherlands. 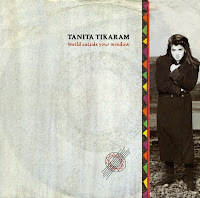 The fourth and last single from Tanita Tikaram's debut album 'Ancient heart' was 'World outside your window'. The single did not chart in the Netherlands and only managed a number 58 placing in the UK during its two week run in the singles chart. It was probably a tad optimistic for the record company to want to milk the album. The song is upbeat, quite catchy and accessible nonetheless. I bought my - slightly tattered - copy in a warehouse after it was thrown in the discount bin. 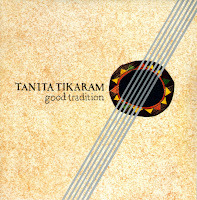 'Good tradition' was Tanita Tikaram's debut single back in 1988. Written by Tikaram herself, the single originally didn't get much airplay. But in time, the single slowly climbed up the UK singles chart, until it finally reached number 10 after many weeks. A few weeks before I went to the record fair in Utrecht this last weekend, I found a special edition of the single on eBay. It featured a black inner sleeve to fill up a hole in the outer front sleeve. I was interested in this item, but the postage costs made it an expensive buy. So I was obviously happy to find that same release for one euro only. Sometimes a record buyer is lucky. 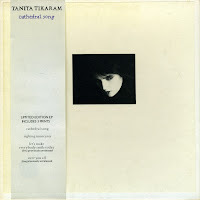 I already owned the regular single of 'Cathedral song' when I found this boxset. I am a sucker for limited editions and boxsets, and so I didn't leave this one on the shelf. This limited edition boxset contains an EP instead of the regular single, meaning that it contains not two, but four tracks. The two extra tracks are live versions of songs that weren't on Tanita Tikaram's debut album 'Ancient heart' at all. The three art prints were the icing on the cake. Tanita Tikaram achieved an international breakthrough with the song 'Twist in My Sobriety' in 1988. Taken from her debut album 'Ancient heart', this self-penned song was immediately recognised as something special. The single peaked at number 22 in the UK, number 23 in the Netherlands, number 2 in Germany and Austria and number 6 in Switzerland, Norway and France. The first line of the song, 'All God's children need travelling shoes' is the title of a book by writer/poet Maya Angelou. The song was covered by Liza Minelli in 1989. Other covers were made by Italian disco singer George Aaron, Chinese singer Chyi Yu and death metal band Cynicism. 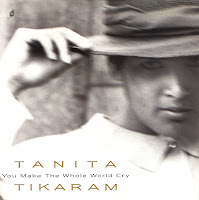 Tanita Tikaram was born in Münster, Germany on August 12, 1969 as the daughter of Fatimah Rohani of Malaysian descent and Indo-Fijian British Army officer Pramod Tikaram. She grew up in Basingstoke, England. She released her debut album 'Ancient heart' when she was only nineteen years old. 'Cathedral song' was the third single taken from that album. It reached number 48 in the UK singles chart. Like other tracks on the album, it was a moody, guitar-based song. Everybody knows Tanita Tikaram's 'Twist in my sobriety', but her later work has been sadly overlooked. And it's such a shame, because she became better as years went by. 'You make the whole world cry' is a great example of this: a monumentally produced 'wall of sound' type track, with an intelligent lyric, although the title seems a tad hyperbolic. In the UK, neither this single nor the album 'Eleven kinds of loneliness' (1992) charted. Sometimes there is no justice.